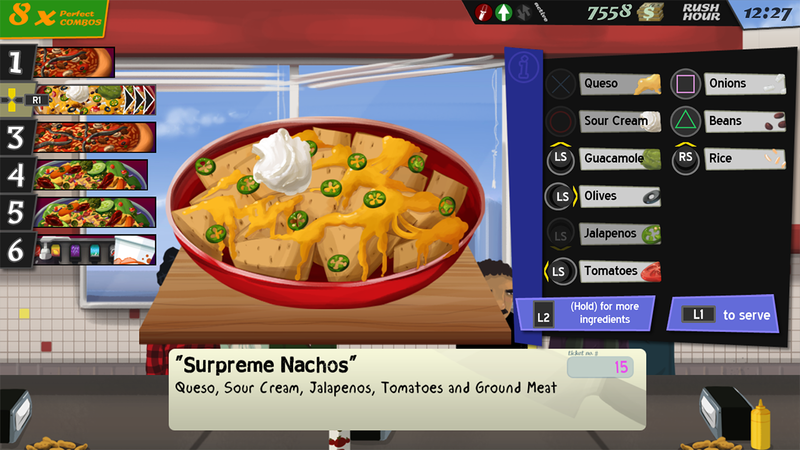 Cook, Serve, Delicious playable on PS4 at GDC 2014! | Vertigo Gaming Inc. In the last few weeks I’ve been adding controller functionality into the game, doing it in a way that makes sense while still retaining the speed of the game. The goal: keep the chaotic, frenzy fast paced gameplay while retaining the lightning fast reflexes needed to get orders done perfectly. To go from a keyboard to a controller seemed crazy, but after a lot of retooling I think I’ve managed to strike a great balance of speed and useability. I’ll break it down further in a blog post next week, but to put it simply: no concessions were needed in bringing controller support to the game, and it’s just as crazy fast as it ever was. I’m not gonna touch one thing about the difficulty/speed of the game. If you’re at GDC go check out a live demonstration of the game by YoYo devs at the YoYo Games Booth #1924! So, does this mean CSD is coming to consoles? Not quite yet. I’m in the process of being registered as a game dev with Sony, and there is an approval stage the game needs to go through first. So nothing is for sure just yet. Still, to have my game playable on a console, in less than a month’s time of work, is crazy to me. In fact, I gave my controller build of CSD to YoYo Games, and in less than six days they had it up and running on PS4. Amazing. But hey, I have some good news for y’all who already have the desktop build of the game. Full controller support will be added in a patch later this month on Steam, followed by the Humble Store version! The controller patch will be available on Steam next week via a beta, with a full rollout very soon afterwords. 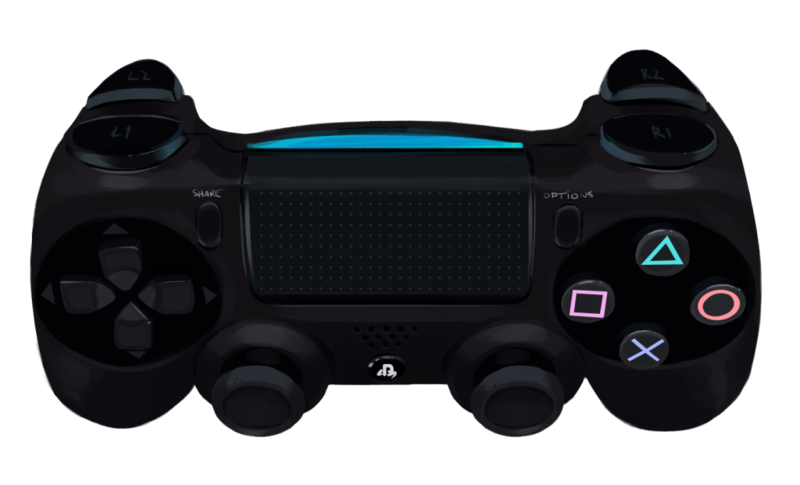 It will initially support Xbox 360 PC controllers and DualShock 4 controllers, with Xbox One Controller support coming when the drivers are officially available. I’d love to look into Steam Controller support as well when that’s available. It’s been a crazy ride to say the least for CSD, and the future for indies has never been brighter. Man, I love gaming. Congrats on expanding your field Chubs! You’ll continue to be an inspiration to indies for years to come I’m sure.